Walking with Jesus: Day 65: Acts 19:1-10 & Proverbs 22:17-21 - When Do We Withdraw and When Do We Continue? Day 65: Acts 19:1-10 & Proverbs 22:17-21 - When Do We Withdraw and When Do We Continue? When Do We Withdraw and When Do We Continue? Today, the Apostle Paul makes his return to Ephesus, after his previous visit had been cut short so he could keep his vow. This time, when he enters, he meets a group of disciples. These people may have come to faith when Paul was previously in Ephesus, reasoning in the synagogue, or they may have heard of Jesus from someone else. However the heard, they received incomplete information, for they had never been baptized in the name of Jesus and had never even heard that there was a Holy Spirit. Paul takes time to instruct them accurately, because precision is important. Thus better instructed and coming to a more complete faith, these disciples were baptized and received the Holy Spirit. So the church in Ephesus began with twelve men. Twelve men and an open door for ministry is a good start for a healthy and vibrant community, and soon that's what Ephesus would have. After teaching and baptizing these twelve disciples, Paul picked up where he left off on his previous visit: He went into the synagogue and reasoned with the Jews. God gave him an open door to be able to do this for three months, far longer than he was able to stay in many other synagogues. Still, when opposition arose and people became stubborn and continued in unbelief, he left. Paul here sets a great example for us of when we should continue sharing the Gospel with someone and when we should withdraw and wait for a more opportune time. 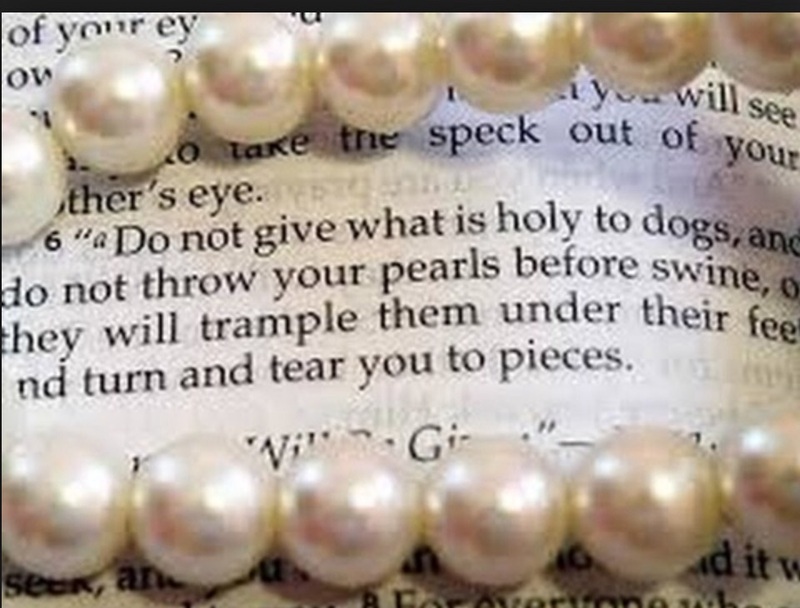 When someone becomes stubborn, continues in unbelief and begins to mock or ridicule Christianity ("speaking evil of the Way"), then it is appropriate to avoid the confrontation. 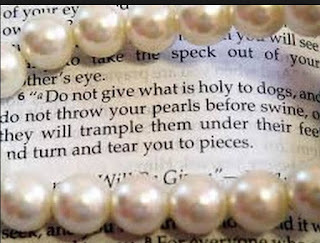 Jesus told us not to cast our pearls before swine or give what is precious to dogs and He also told His disciples to shake the dust off the feet in judgment of any town that would not receive them. What is the benefit of withdraw? It is not an admission of failure, but a sign of judgment. As Paul said earlier, "Since you thrust it aside and judge yourselves unworthy of eternal life, behold, we are turning to the Gentiles." (Acts 13:46) It dishonors the Gospel and lordship of Christ to haggle, debate, argue and plead with people who do not honor Him. This is not to say there's no role for apologetics, as we saw Paul engaged in doing in Acts 17. It's just that we need to know when to withdraw. We also need to know when to continue. Withdrawal from the synagogue did not mean withdrawal from Ephesus. Paul went to the Hall of Tyrannus and stayed there for two years, reasoning daily. At the end of that time, everyone in Asia Minor had heard the word of the Lord. Faithfulness to the Lord means staying the course and continuing while the Lord had the open door before us. Heavenly Father, You call us to be Gospel ambassadors, heralds of the good news. Give us wisdom as we seek to engage people with the Gospel. Show us when the persevere, when to withdraw, when to pray and when to speak. Fill us with Your Spirit and give us Your words. In Jesus' name, Amen. that we may know You. that we may truly trust in You and walk before You all our days. in whose name we pray, Amen.